Niall Evalds caused constant problems for Huddersfield Giants in Salford Red Devils’ big win at the John Smith’s Stadium on Friday night. 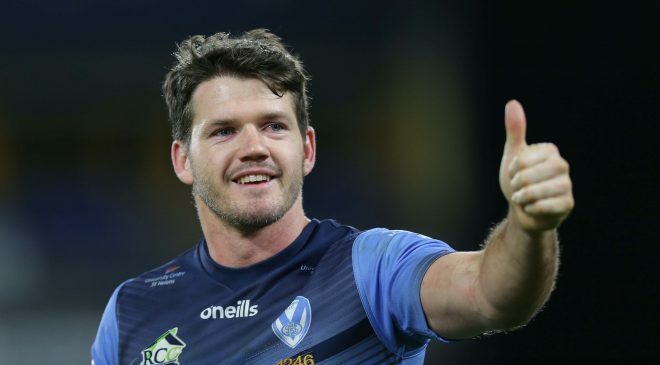 Three tries, the first hat-trick of Super League in 2019, and one assist meant the fullback was involved in over half of the Red Devils’ tries. Chiming into the backline at will, the deception from him and halfbacks Robert Lui and Jackson Hastings left the Giants chasing shadows. 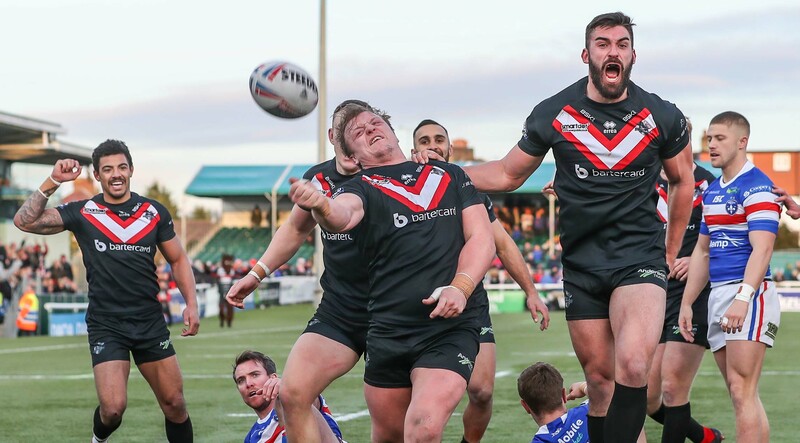 What a start from London Broncos in Super League and key to that start was the double try scorer Eddie Battye. 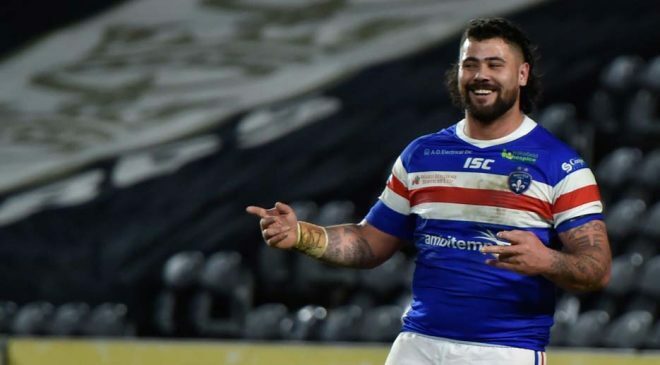 Making his Super League debut, and having only scored three tries in London’s promotion season last year, you’d have got long odds on Battye weighing in with a double before the game. But that didn’t stop him, he was destructive and dominant through the middle of the field. 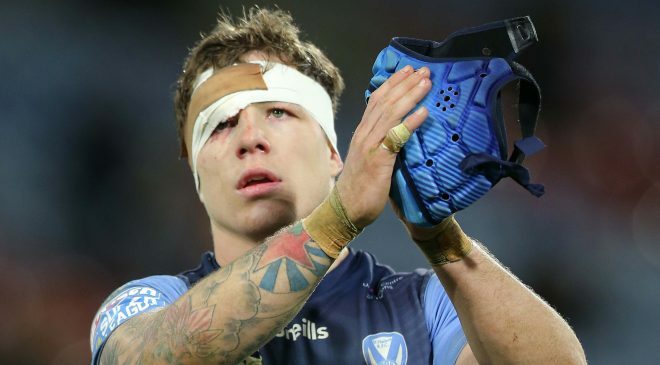 And now we know he’s just as competent at eating a tuna sandwich as he is at playing Rugby League! 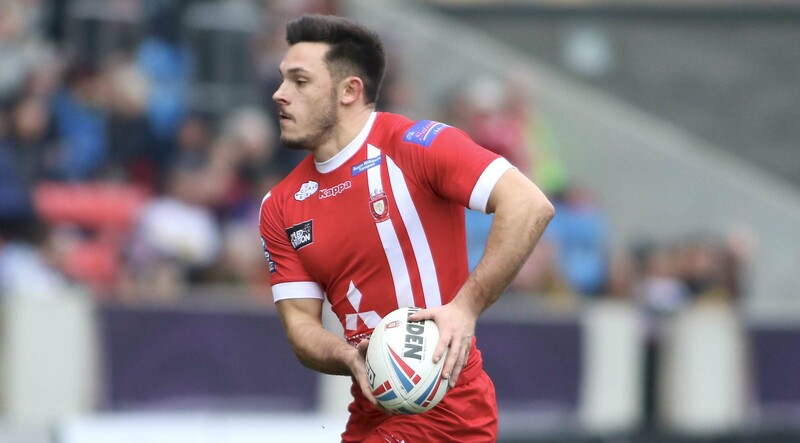 Sheffield Eagles put their poor 2018 behind them with a great start at home to Swinton Lions and at the forefront of that was debutant Anthony Thackeray. 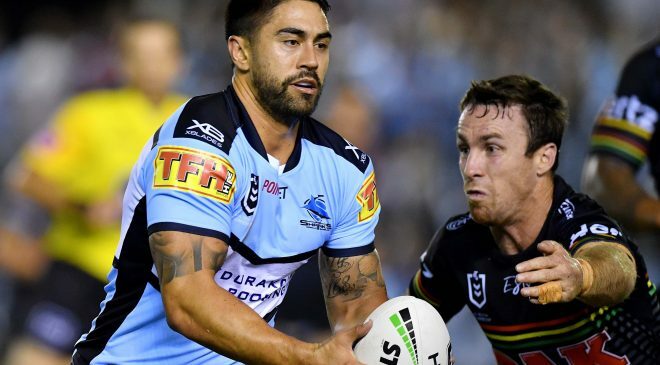 Thackeray weighed in with four tries as he showed his Championship experience will prove crucial for the Eagles this year. Many Hull fans won’t be looking forward to welcoming back Liam Watts to the KCOM Stadium on Thursday night after this performance from the big prop forward. While this won’t be his first return since his move to the Tigers, Watts will still be keen to show his former club what they’re missing. 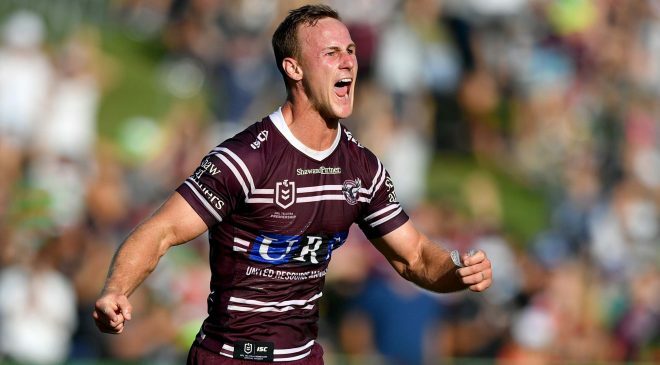 Watts played huge minutes for a front-row forward against Catalans Dragons in round 1, making 181 metres and 43 tackles. Having a centre of the quality of Anthony Gelling was always going to pay dividends for Widnes Vikings in the Championship. 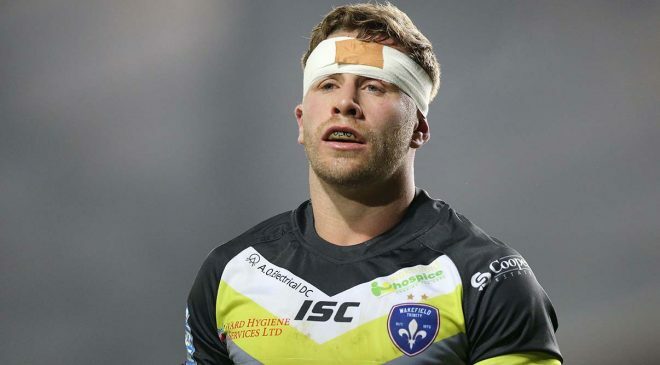 Halifax weren’t able to handle the former Super League winner who weighed in with two tries on his debut for the club as well as making a young fans day when he watched the final moments of the game with him. 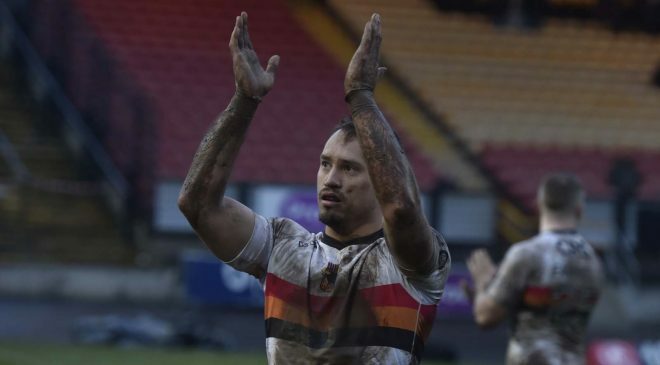 Jake Spedding was instrumental in Barrow’s first win at Batley Bulldogs since 2001. 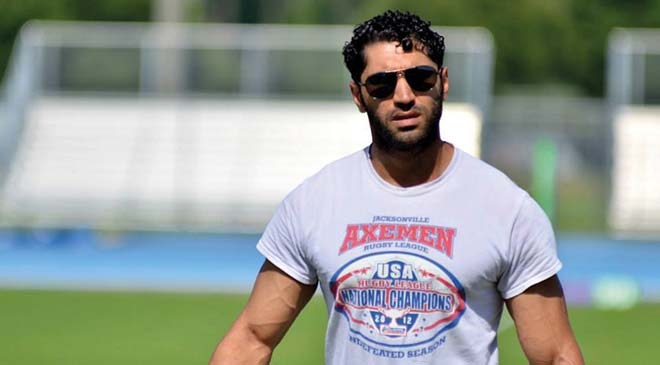 On his debut for the club, Spedding scored his side’s opener after intercepting Dom Brambini’s pass before grabbing his second when he latched onto a grubber kick just before half-time. 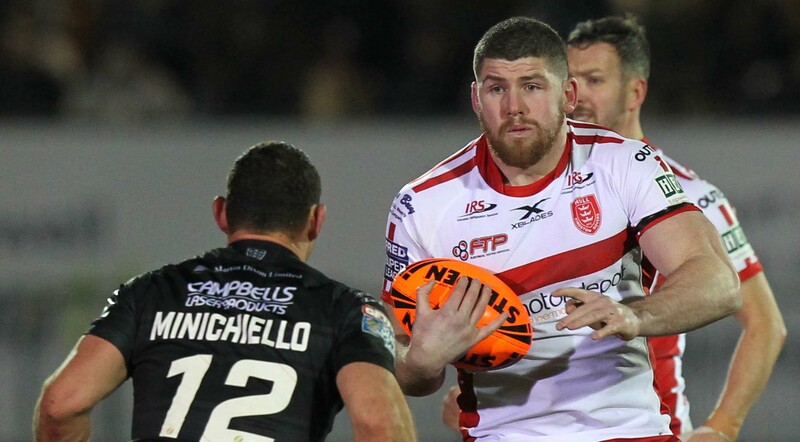 While Jimmy Keinhorst might have grabbed all the headlines, and rightly so, for his last-minute winner for Hull KR in the Hull derby, Mitch Garbutt was the stand-out performer on his debut for the club. Garbutt was amongst the try-scorers as well bringing energy and physicality to Rovers’ forward pack. 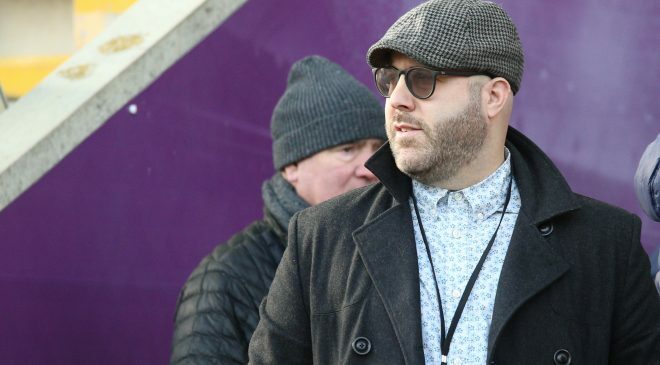 Theo Fages surprised a few to be named in St Helens’ starting XIII with many expecting dream team member Danny Richardson to maintain his spot in the side. But Fages showed why he’s been called upon by Justin Holbrook with some outstanding defence on Joe Greenwood. Bradford enjoyed a good start to their Championship season after promotion from League 1 thanks to a field goal from Dane Chisholm. As well as kicking the winning one-pointer, Chisholm scored his side’s second try and led the Bulls well with his kicking game. Stefan Ratchford was the stand out player in possibly the standout performance in Super League in Round 1. 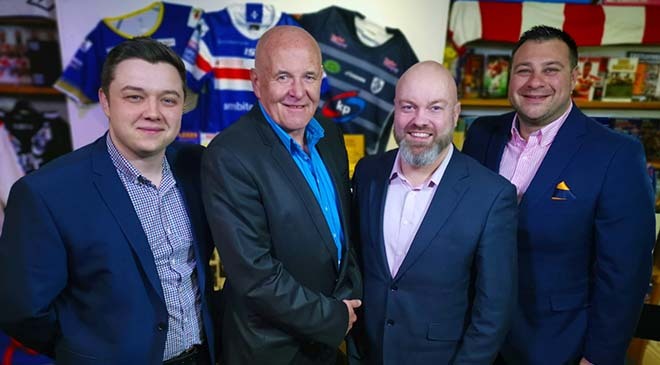 The Albert Goldthorpe Medal holder was a constant danger out the back and opened the scoring on Saturday evening for Warrington.